Here comes another giveaway from The GAME Factory and the Family Review Network. 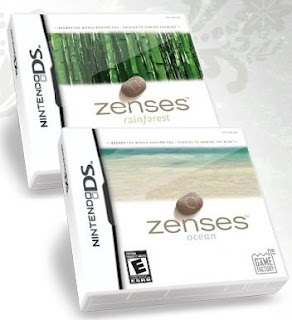 These games are from the Zenses series of games made for Nintendo DS. What's wonderful about the Zenses games is that they're made for women ages 25 and up to help YOU relax, unwind, and have some personal time. I highly recommend you visit The Game Factory website for the zenses games as it has a short trailer for viewing, music to download, and a full description of each of the games featured in this giveaway. These games were just released in November and retail everywhere video games are sold for $29.99 a piece. So, what are the games in this giveaway? One winner will win both games! Here's how to enter. Visit the Game Factory website and tell me one reason you would love to win these games. Attach your e-mail address to this comment and you have your first official entry. This contest is open to U.S. only and will run until January 2nd at 8:00pm ET. The winner will be announced at or around this time and will be contacted by e-mail. Following the e-mail being sent, the winner will have only 48 hours to respond with their shipping info before I move on to another winner. I'd love to win because I love brain games and the soundscapes would be great to accompany them! Um yes please! This is totally right up my alley. And anything that helps me relax is just gravy. My family would like to win this because we have a Ninteno DS. I think the screen shots look great. I can't wait to play the games. My 12 and 16 year old will like it too. I would love to be in a spa like environment since i cant go to a real one. I totally want to win these games because with 3 boys at home, I need help to relax and I love to play games such as those featured on Zenses! I would really like to win the games so that I can give them to a friend as a gift, a friend that is ill and spends a lot of time in bed due to her illness. I would love to win these games because I could use some down time and relax. The sounds of the ocean always puts my mind at ease. I subsribe through Google Reader. 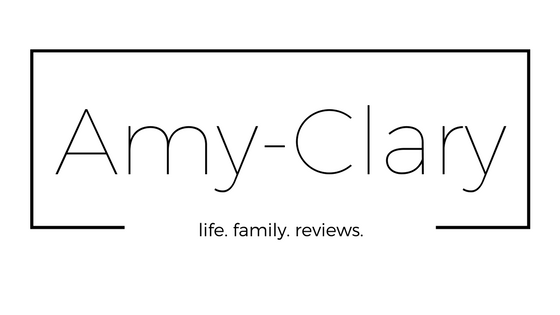 Being a stay-at-home mom I rarely get time to myself adn this sounds so peaceful and relaxing. Our eldest daughter has Asperger's syndrome (a form of autism) and the best gift we ever gave her was her beloved Nintendo DS. I would love to win these games for her because they sound so relaxing and would be very therapeutic for her! I am a subscriber & follower! I want to win so I can give my wife a good gift and help her to relax. I like ambient music, these games sound wonderful! I like that it helps you relax. I need that. I would love to win these games for my daughter. I bought her a Nintendo DS for Christmas and she needs some games. She is raising 2 stepsons who are 8 and 10 and really needs a way to relax. I never knew they made games like these. They are fantastic! Totally awesome. Just what she needs and I may borrow for long periods of time. I think that these games would help me relax. I could go into my own little world. The sounds sound particularly soothing. I would love the soothing sounds coupled with the challenge aspect. Thanks for the terrific giveaway! I think that it would be so nice to have some games in this house that are geared toward me. But also because I think that the sounds from these games would be so soothing and relaxing. 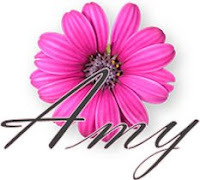 Would like to win to give as a gift to a friend who has an ill husband to help her relax. I want to win these games because I have a DS, and I think this would be a great way for me to unwind at the end of the day. Just received a DS and these games seem like the kind I would like for mine. It'd be a great way to relax after a long day of work. I would love to win this! Thanks for the contest! I need some video games. I need something to help me relax. These games seem like they would help! I love that the games are relaxing and have soothing sounds. after the excitement of the holidays I need to relax! I would like to win because they sound very relaxing. Happy New Year! these games look great, I need to relax!! These games sounds great for when I travel. I have a hard time sitting in the car for long periods, this would help me relax and enjoy the drive. This game sounds great because it looks so relaxing! I JUST GOT MY NEW DS LITE AND I HAVE NO GAMES YET. I AM A 54 YEAR OLD WOMEN. ON OXYGEN 24/7 WITH A HEART PROBLEMS. SO MY PUTER AND GAMES ONLINE FILL MY DAYS. TO WIN THIS WOUKD BE AWESOME. Because helping to relax after a long day and listening to the sounds on this game , may just cause a sense of relaxation. The Ocean one sounds great! I love that it has all the sounds of the ocean in it. I love puzzles and being able to play them in a relaxing format would be fantastic! Thanks for the chance! I would love to win these games because I love puzzle games and these sound like a lot of fun. I think I would enjoy the sounds as well. I would love to win this because puzzles are very relaxing for me. The combination of the ambient music just makes the games even more appealing! Thank you for the opportunity! I would love to win these because my son and I love puzzle type games. Thanks for the chance to win. I'd love to win these games because I've entered to win these on about two dozen different blogs and I really would sorta like it to pay off here ya know... ;) YaY! My girls got DS for Christmas and I know they would love to share. I would love to win these games because they look SO relaxing and what mommy does not need some relaxing! 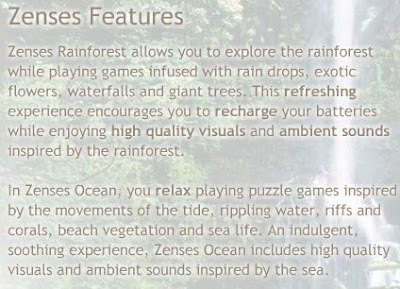 I'd love to win because the games have such great sounds of the rainforest. I'd love to play a game that is relaxing. I would like to win this because I could relax and enjoy the soothing sounds. I would love to win these games because I love puzzle games. I would love to win these games because they sound like they are made for me--the ambient music and relaxing puzzles. Thanks for the giveaway! this is a cool site, i would choose the rainforest game. i would enjoy the recipe game, where it shows you how to cook a certain recipe. I would love to win this game. Either one,I think my son and I could have a great time playing them! We drive 67 miles to go grocery shopping. I would like to have these games to play while my husband drives. I would like to win because these sound like they would be a soothing way to pass the time. My daughter got a DS for Christmas. I could borrow it and use these for some peaceful me time! I would love to win to be able to relax when my 3 children go to bed. Thank you! I'd like to win these games as I fit their demographic, mature woman and I did get a DS system for Christmas and can only play brain age so much. Thanks for a great giveaway! I just got a DS for Christmas, too! Mine is a pretty red. I'd love to win and add a couple of more games to the one (only 1!!) I already have, Brain Age 2. I'd love to win because I could use some DS games that I can play! :) Thanks for the contest! We love to play games, especially the rainforest games looks like alot of fun. I would like to win this because I love puzzle games. I would like this because I need to relax and I love puzzles. What a great idea, a game to help me relax, after a long day of six kids, 3 dogs, one cat and a husband, I defintely need some time for me. Our house could use these games. Please accept my entry. Thank you. These games sound great for the DS, and I'd love to win them for the family. We really like to do puzzles. Thanks for the wonderful giveaway. Hope to win. My daughter would love these games, she's really into the rainforest lately! I would love these because I would rather play a puzzle game than any other type. I like puzzles of many kinds. I would love to win these games because I love my son's nintendo DS!! I would love these games in particular because I believe they would help feed my spirit. Because it is amazing how much fun the DS really is for us older folks. I'm following your blog. Very nice!! I love my Nintendo DS, and the Zenses games seem so unique and relaxing -- perfect for lunch hour entertainment. I would love to win because I need all of the relaxation help I can get! I'd love to win this because it sounds like a cool game. Well, for those of us who can't afford to run off to the spa to relax we'll settle for some wonderful DS games. They sound fun and I love strategy/brain building games. The smooth sounds of the ocean and rain forest would sooth my tortured soul. I would like to win because I need a way to unwind after a long day at work. I love the fact that you don't have to have a lot of time to play to enjoy it. I could really use some relaxation! This looks relaxing, I would really love the ocean. relaxing games! What more could you want? Haha. I would love to win this, thanks! I'd love to win this because it would be nice to have a game that is geared towards women. Thanks for the giveaway! I'd love the games because I love brainy, puzzle games. Plus Sarah loves them too! I really like that it's a relaxing game and not something mind-bending! I would love to win this for my daughter who got a DS for christmas. Thanks! I love the fact that something is finally being targeted to grown women. We have been left out of the gaming craze for a long time. And they seem to know what women are looking for - relaxation! I need these games. I have been so stressed lately and both of these games seem like a perfect way to relax. I NEED to win, I have had a lot of stress with the holidays and need something to sooth my nerves! I would really love to have one of these so I could enjoy the soundscapes to relax too. I also enjoy playing video games. I would love to win these games because they look both entertaining and relaxing. My wife likes to sneek our daughter's DS and play after she has goone to bed. This game sounds like something she would enjoy better than some of the little kid games of our daughters. I need to win because I need a distraction from raising kids and housework! I would love to win these because brain and puzzle games are my favorites to play. I'd like to win because I desperately need some relaxing me time! I would like to earn some brownie points with my wife and win these for her. Please and thank you. In this hectic world, the games would give me some time to relax. I'd love to win because brain games and great and this would be great for my daughter! I would love to win because I've never played a game before and thinks this would be a great first start. Great for meditation or tossing at the TV. Whichever is more relaxing. I would love to win this because it would make my kids happy. i would love to win these games because i love the concept (i love games based on sounds/music), they look like so much fun! :) (email in in profile). I want to win these games because I enjoy brain puzzles. I love how this game will be UN-exciting to the kids...then yay, this one can be mine. I think the games would make you more relaxed playing them. Thanks for the chance to win. Would love these games to help me be less stressful. I would love to win because this would be a nice way to unwind after my son goes to bed! I would love to win these so I could relax! I need to relax and the soothing soundscapes seem like they would be helpful. Thanks! I got a Nintendo DS for Christmas and would LOVE these games! 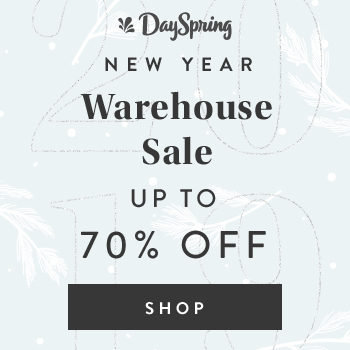 Thank you and Happy 2009! My roommate got a DS for Christmas, and I would love to win these as a present for her. This would be the perfect birthday present for our daughter who will be 30 on Jan. 31st. A game that would help her relax would be just perfect. I these games would challenge me. We don't have a DS yet but I'm ure my wife would enjoy this and I'd get her a DS just for the Ocean one. I would love to win because it looks very relaxing and I love puzzle games! I would love to win this because I just got a new DS and I would love to relax while playing these games! Thanks for entering me! Nice contest! Lookin' for that Zen experience... and a reason to play the DS!!! I would like to win so that I could relax to the soothing sounds while challenging myself to the puzzles. This would force me to relax. I would love to win this because the soothing sounds would really help me to relax and take a mommy time out! I would love to win these game because my new year's resolution is to de-stress my life. These games would help with that. One reason I would love to win these games is that I know my granddaughter would love them!